The 2016 Alliance for Community Trees Day in Indianapolis was inspiring to Trees Forever. After attending, we were determined to start a youth watering program modeled after Keep Indianapolis Beautiful’s (KIB) Youth Tree Team – a tree care and youth employment program. 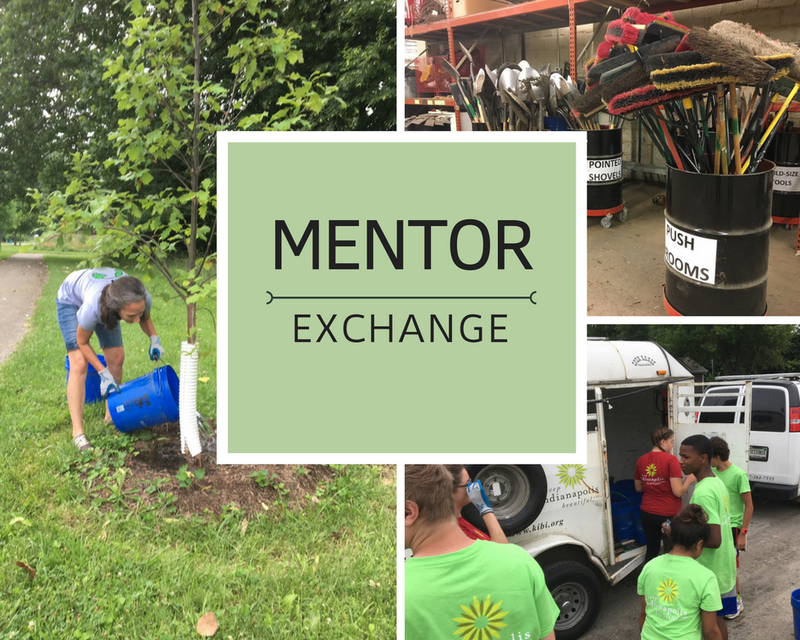 The idea kept percolating and when the opportunity opened to take part in Alliance for Community Trees’ mentor exchange program, we threw our hat in the ring. What an amazing chance to see the Youth Tree Team in action. In heading out to Indianapolis with my colleague, we wanted to learn everything from “how does KIB hook its water trailer up?” to “let’s see how they bring in the big funding dollars,” and everything in between. Boy, did we learn. We carried water buckets with the young employees (that’s 80 pounds of water — our arms hurt for days), we met with internal staff who explained how each piece of their programming works together, and we even got to see KIB’s awesome tool storage. Because of what we learned, we are ready to hit the ground running and can replicate successes and avoid pitfalls right out of the gate. We’ll share more about what we learned at Alliance for Community Trees Day on November 6th. We promise we won’t make you do any bicep curls with five-gallon buckets of water. Learn how your organization can become an Alliance for Community Trees member, visit arborday.org. Leslie Berckes works at Trees Forever, a non-profit that is highly active in starting, implementing, and sustaining community projects. Leslie serves as a program manager and field coordinator for the central Iowa region working with volunteers and organizations on projects such as tree plantings, tree care education, native prairie plantings, and more.